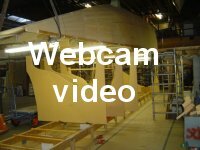 There is not much to write about the building of FRAM, just being busy with a lot of UD’s and tapes around the beam bulkheads and carbon folding anchors. But for me there were some memorable events in the last few weeks. Between the violence of many Tall Ships, including the Russian “Kruzenshtern”, Italien “Amerigo-Vespucci”, Poland “Dar Mlodziezy” and many others, Dutch Blind Date was one of the participants in Sail Amsterdam 2010 in the category “Extraordinary Ships” and on Sunday, August 20th it was my turn for a day on board to receive and show around interested visitors. Blind Date was a real eye catcher at the front of the music building dock, which is also the beginning of the walking route for visitors. During the four-day event 1.5 million visitors passed her, but fortunately not all came on board. It was very funny to see how one stood on the dock to explain each other what kind of a boat this is and how she sails. Some can’t figure it out and walk away while shaking their head. The nice thing about such a show is that you meet great people and have interesting discussions. I hope to have made some new Blind Date friends. 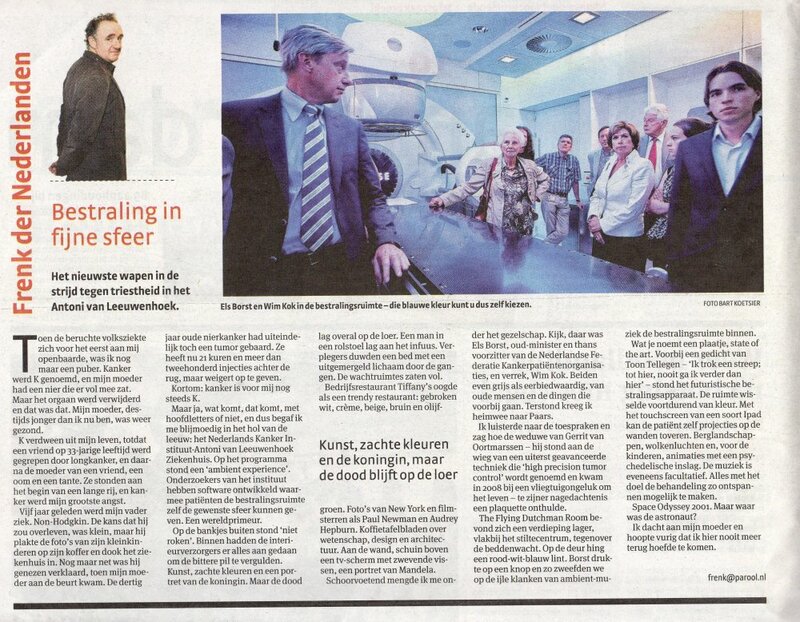 On the 24 of August we were invited to a special event, the launch of the newest medical facilities in the field of radiotherapy at the NKI-AVL, the Netherlands Cancer Institute-Antoni van Leeuwenhoek Hospital. During the opening ceremony a plaque in memory of my brother Gerry has been revealed. 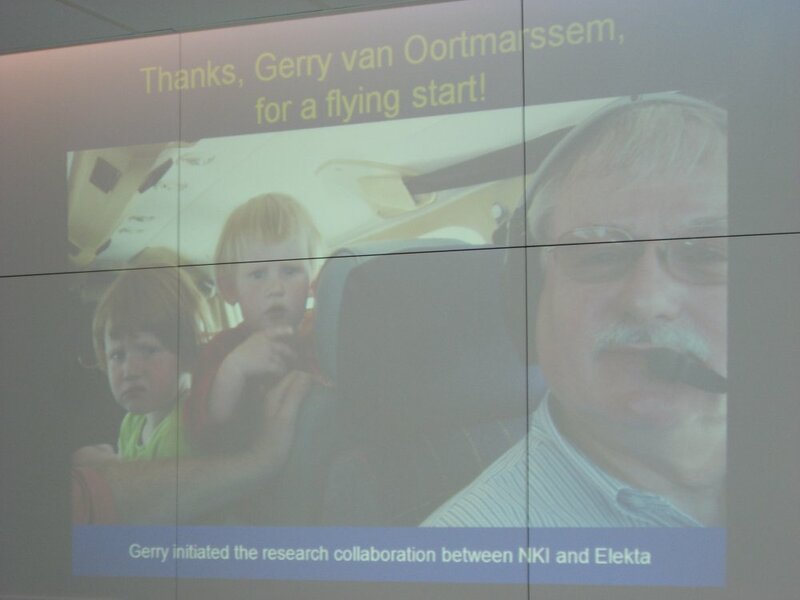 It was Gerry who succeeded in realizing the development of new products in cooperation with radiotherapy clinics. He had a perfect gift to win the customers and the business organizations, to bring them together and create conditions to develop new ideas. My sister in law has established a fund in memory of Gerry and she made the proceeds of this fund available to realize a treatment room set up as patient-friendly as possible. To realize this, Philips Medical Systems was prepared to suitably fit in a radiotherapy room, the Ambient Experience concept, the newest technique available to positively influence the patient experience. With this the patient can determine the surrounding which best suits him or her. Besides the fact that it is demonstrated that this method of adjusting works positively for the regular patient, it is also expected that this Ambient Experience will have a positive contribution in the treatment of children. And so it happened that a fully equipped Cone Beam CT accelerator, with the most modern and latest techniques, like CT guidance, 4D Software Matching, etc, has now been combined in a patient-friendly set up with Ambient Experience, which combination is a unique setting in the world. Chairman of the NFK and former Minister of Health Mrs. Dr. E. Borst performed the official opening. I’m very grateful that this unique concept will be forever linked to the success of my late brother Gerry. This time my own business. 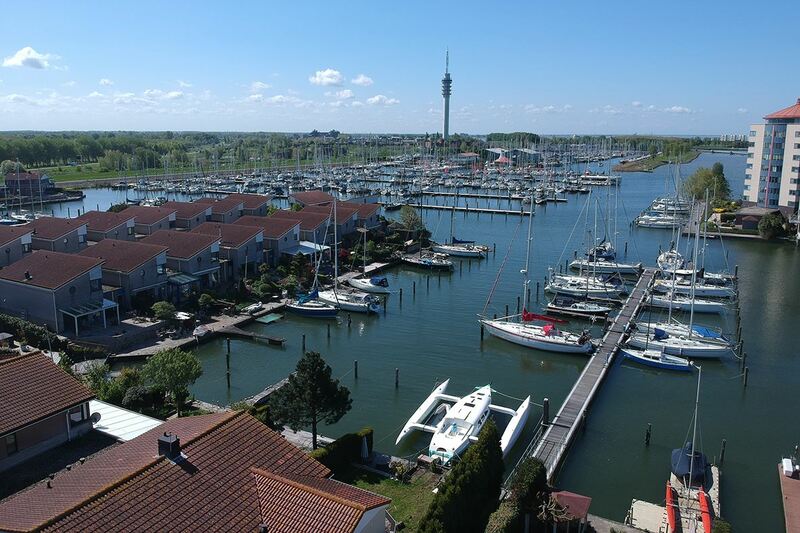 To celebrate the completion of a renovation job I’m sometimes persuaded to do crazy things, like descending along a rope from the roof of a 60m high appartment building. …… but once down you want to do it again …..
Back to the boat building business. Fortunatly it’s not business, but a leisure spending, however with a lot of money and time involved. Click in the above picture and you know what I mean. 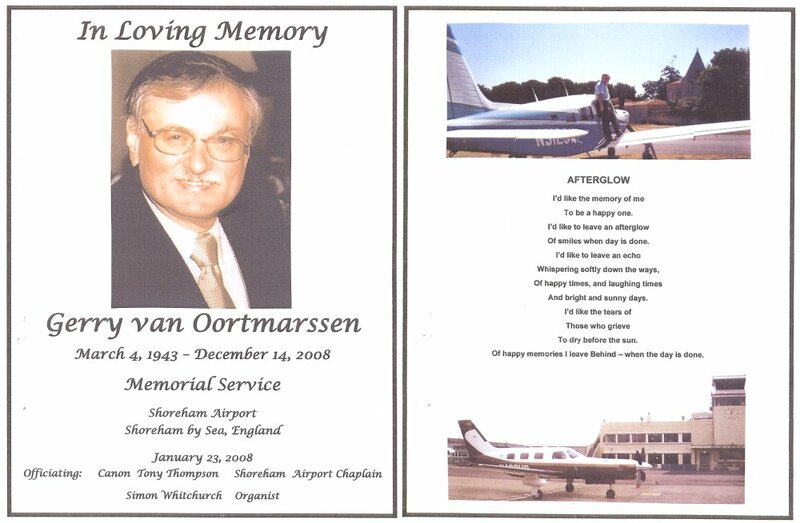 Memorial service at Shoreham Airport. So nice to meet Gerry’s friends and colleagues in the UK during a Memorial Service at Shoreham Airport. To all my friends, and other regular visitors, following me through this website, these days are very sad. Last Sunday my brother Gerry died in a tragic accident after his aircraft crashed in Austria. Gerry was the one who learned me sailing and built his own boat back in the seventies. However, his passion was flying. He was my biggest fan and dreamed about building a fast composite aircraft, when he was retired. My other brother Ben designed his new to built house at the Atlantic Airpark, Chasnais, France, with a big hangar and workshop for his planes, to fulfill his dream, to enjoy his retirement together with his wife Joni. On January 2 we will bring him to his last resting-place, on the Zuiderhof cemetery here in Hilversum, near our beloved Dad, which grave is lying close to and in a continuation of runway 07/25 of Hilversum Airport, so that he could say Hi to our Dad when entering or leaving the field.